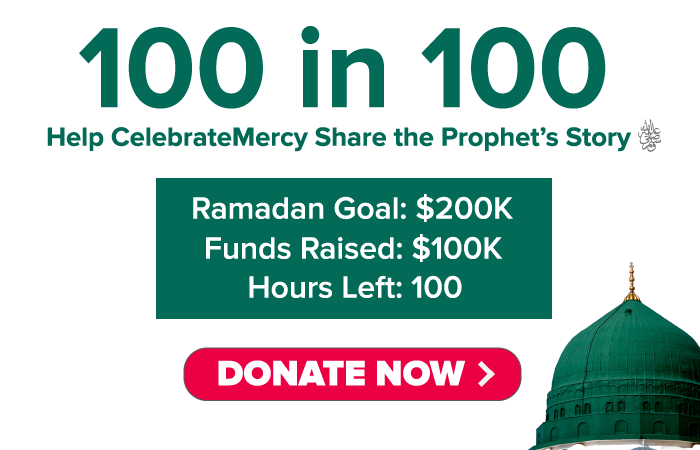 CelebrateMercy is a Muslim-led non-profit organization that teaches about the Prophet Muhammad through social campaigns, events, and social media. In nine years, CM has grown to over 700,000 social media followers and 6 million video views. Our national campaigns respond to hate with love and to evil with good; they mobilize Muslim-Americans to practice Prophet-inspired selflessness and service. Each of our recent campaigns reached 100 million people through national media stories, including TV coverage on CNN, MSNBC, and The Late Show with Stephen Colbert (link). In 2017, we raised $160,000 to repair vandalized Jewish cemeteries (link). In 2018, we raised $240,000 for victims of the Pittsburgh synagogue shooting (link). 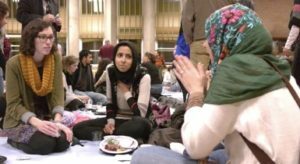 CelebrateMercy is currently fundraising to launch the Love Thy Muslim Neighbor Campaign, inspired by a similar campaign in Norway in 2010. 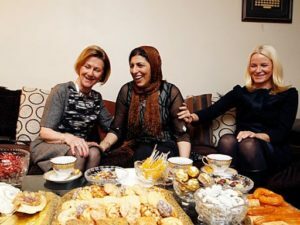 The premise in Norway was simple: help nurture authentic connections by organizing tea-drinking gatherings between Muslim and non-Muslim Norwegians. The result: a 40% reduction in Islamophobic sentiments in only 2 years. In the United States, 6 out of 10 Americans do not know a Muslim personally; though there are more than 3 million Muslim-Americans. Polls show that Americans who do not know Muslims are more likely to have anti-Muslim views. Our goal is to increase those personal connections by 5% nationwide within 5 years. In its first year, our campaign will pilot in only one US zip code. We will select a zip code where the population has high anti-Muslim views despite a large local Muslim population. CelebrateMercy will organize multiple seminars and workshops for the local Muslim community, taught by renowned Muslim scholars and speakers. These seminars will focus on neighborly virtues rooted in the Prophet Muhammad’s teachings. In the pilot zip code, at least 50 Muslim families will engage next-door neighbors with monthly acts of kindness and dialogue for 18 months. These acts will include introducing themselves to next-door neighbors, hosting block parties, organizing Mosque Open Houses, and inviting neighbors over for meals. Muslim families will also perform “random” acts of kindness, such as unexpectedly shoveling neighbors’ driveways the morning after a heavy snow. To measure impact, a polling company will assess anti-Muslim sentiments in the zip code before and after the campaign. We will then scale the campaign to three additional zip codes by 2021, and five by 2022. The pilot phase of the campaign will culminate in a feature film documenting it in a reality-TV format. The film will show raw interactions and interviews between Muslims and non-Muslims in the pilot zip code. A successful film or TV series on the campaign will be critical to its success and scaling. An acclaimed filmmaker, Joshua Seftel, has committed to direct the film for this campaign. He has won and been nominated for multiple Emmy and Peabody awards (learn more about Josh on Wikipedia here). With a mix of tension, humor, and suspense, the film will display the impact of Muslim-led neighborly kindness on the zip code’s population, inspiring more Muslim communities to participate in the campaign. On a much wider scale, distribution of the film – in theaters as a documentary or as a series on platforms like Netflix – will curb misconceptions about Islam and Muslims among millions in the general public. Some footage will also be spun off into shorter videos for social media. To launch our campaign and film in the pilot zip code, we need to raise a majority of the total budget: 1 million dollars. 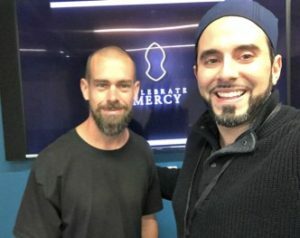 We have already raised 40%.Last year, CelebrateMercy’s founder Tarek El-Messidi met with Jack Dorsey: CEO of Twitter & Square. Two weeks later, Mr. Dorsey donated $100,000. He also agreed to serve as a Campaign Advisor and to host an in-person kickoff meeting for the campaign at Twitter headquarters. We aim to hold this launch meeting – for major funders and advisors – by September/October 2019 and begin work in the pilot zip code by late 2019 / early 2020. We are currently seeking funding and grants for the campaign and film. Many are also hosting fundraising gatherings in their homes and other venues to encourage friends to give. Large donations can be split into monthly payments. Underwriters who donate $25,000 or more will be listed in film credits as Associate Producers. For those wishing to donate more than $25K, please contact us about potentially becoming an Executive Producer. Major funders will also be invited to join annual meetings with campaign advisors (including Jack Dorsey) and receive invitations to film screenings and festivals. – To donate, please click here. – To request a private link to the trailer video, click here. – For any inquires, email info@celebratemercy.com.